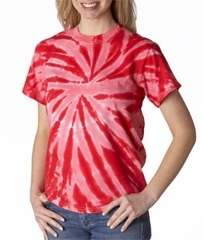 This great Tie-dye T-shirt great for schools and teams. Preshrunk 100% heavyweight cotton. Hand-dyed with superior colorfastness. Nice!